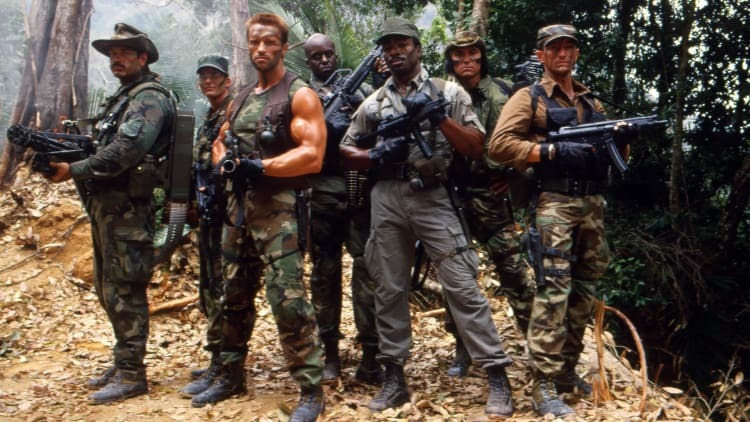 We have seen numerous PREDATOR films over the years, dating back to when Arnold Schwarzenegger first stared down the alien threat in a jungle in 1987. 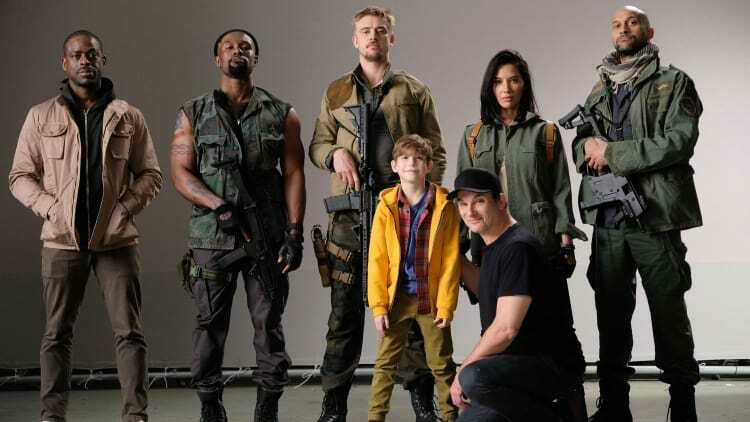 Later this year, Shane Black (who actually co-starred in the original film) will be reviving the brand for a wild new sequel that the cast made very clear — during a recent interview at San Diego Comic-Con — is NOT your daddy’s PREDATOR movie. The Predator, over the years, has been a nearly unstoppable force, facing down opposition from the likes of Schwarzenegger and Danny Glover. 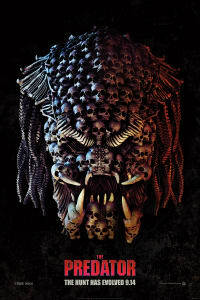 There will be a new team of soldiers and scientists standing in the Predator’s way this time around, and Black explained that the band of brothers is a modern version of the bulky ‘80s warriors who hunted the alien in ‘87. Also, from the sounds of it, THE PREDATOR is embracing its R rating as it arrives in movie theatres this fall. And that much was made painfully clear in the footage that 20th Century Fox brought to Hall H at Comic-Con. During a confrontation in a school, Olivia Munn and Boyd Holbrook are trying to hold their own against an armored Predator. The Predator clearly has the upper hand … until another massive monster reaches through a window and pulls the smaller Predator through a wall! This sets up a massive Predator-on-Predator battle that ends with the smaller warrior being beheaded. The Ultimate Predator is not messing around. 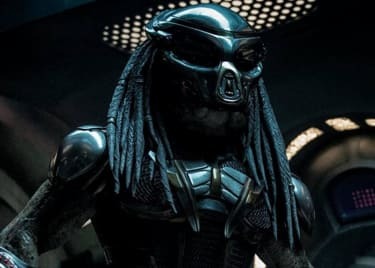 The PREDATOR franchise has to evolve to stay relevant, especially after pitting the creature against other aliens in the beloved ALIEN VS. PREDATOR series. 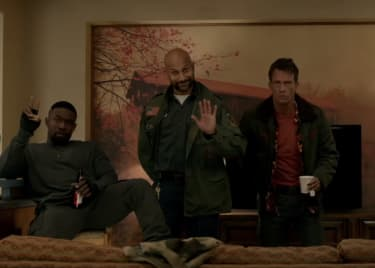 And Black is looking to bring the same type of humor and camaraderie that is on display in movies like THE NICE GUYS and KISS KISS BANG BANG. The last clip that was shared in Hall H was set in a hotel room and showed how the military team — comprised of hilarious actors like Keegan-Michael Key, Thomas Jane and Trevante Rhodes of MOONLIGHT — has a comedic shorthand and a fearless attitude when dealing with extraterrestrial forces. 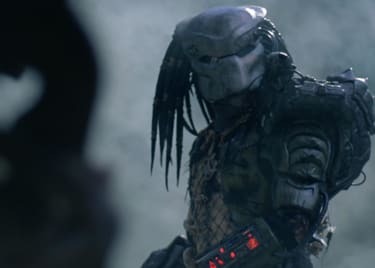 THE PREDATOR kicked off San Diego Comic-Con with a blast, entertaining Hall H with footage and proving that it’s pushing the envelope of the franchise into wild new territories. Mark your calendar for the September 14 release at AMC.